The FitCrv tool applies a curve to an object or line that is not a curve. For the exercise, I created a shape that was constructed of polylines and varied in heights as well. The tool was able to create a curve forming around the shape of the lines. I adjusted the Fit tolerance, which determines how close the curve lays next to the polylines. 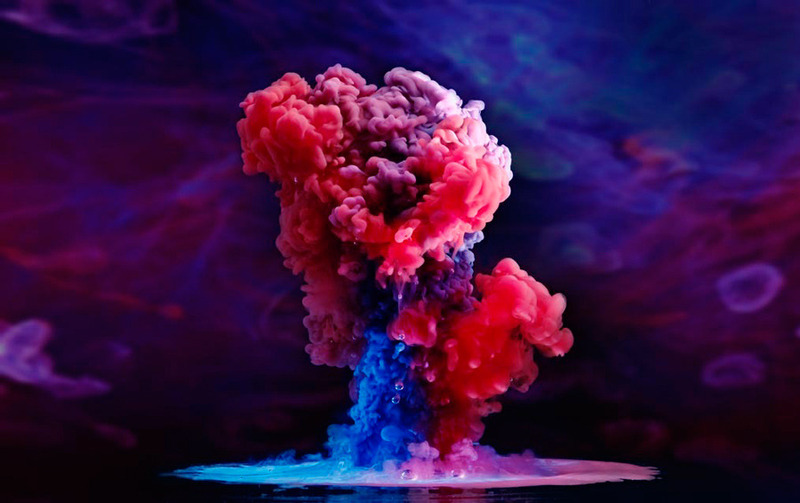 The above image is a high-speed photo of ink being poured into water. The photo is very mysterious and can be interpreted as a sculptural or architectural. If you look at the photograph architecturally, the different colors can represent different parts of the tower depending on program with the blue being the most public of the spaces to the red being the most private and the purple being the intermediate spaces for both private and public uses. If you look at the photo from an architectural standpoint, the shape of the ink in the water defies gravity which can be tricky but very interesting to explore in the design of a tower. The base is considerably smaller than the top, similar to a tree. But I believe it is very possible depending on choice of structure and program. Looking at the photograph literally, it freezes the movement of two different fluids yet as a viewer, you can still imagine the sequences before and after this frame. If you take this concept into the architecture, it would be amazing to try and convey movement or fluidity through a tower, an object that appears so static due to its mere structure.